The competition was stiff, but we think we might've actually located the worst man in the world. To identify him, all it took was a particularly flagrant "thought piece" on how natural, normal, and wholesome it is to be transphobic. The man? 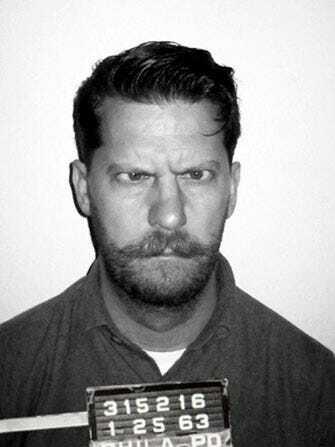 Known contrarian Gavin McInnes, co-founder of Vice (though he's no longer affiliated with the company). The article's title, "Transphobia Is Perfectly Natural," is provocative, but not immediately appalling — no real surprise for a Thought Catalog story. Like any prejudice, the only way to fight it is to be aware of it in ourselves. So, if what followed was an honest discussion about the uneasiness one can feel when seeing a person transition from one gender to another, it could've been an opportunity to address an uncomfortable topic. Instead, what we read was a vulgar diatribe that quite possibly calls Thought Catalog's democratic motto ("all thinking is relevant") into question. McInnes does more than say transphobia is natural; he basically requests transexuals get their very own DSM diagnosis. "They are mentally ill gays who need help, and that help doesn’t include being maimed by physicians," he writes. "These aren’t women trapped in a man’s body. They are nuts trapped in a crazy person’s body." And, because why stop when you've got a flow going, he adds this: "To fight against transphobia is to justify trannies. To justify trannies is to allow mentally ill people to mutilate themselves. When your actions are getting people mutilated, you’re at war with them." Since the piece was published last Tuesday, Thought Catalog posted a trigger warning before the story that says it contains "hateful or abusive content." And, McInnes has been put on indefinite leave at Rooster, the ad agency where he is COO.